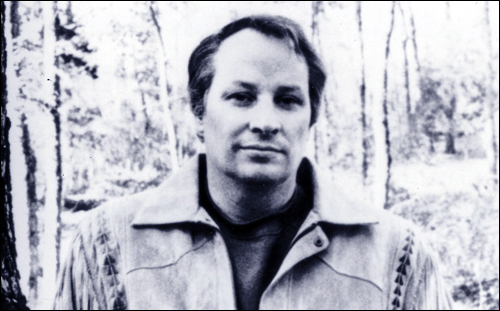 Joe R. Lansdale separates himself from the majority of the pack with his limitless imagination. The man thinks so far outside of the box it’s often challenging to grasp precisely what you’re reading. But that’s only a part of what makes him special, and it’s important to note, that when Lansdale wants to reel things in a bit and deliver a more straight-forward tale, he’s perfectly capable. What’s always left me personally amazed, is his ability to pinpoint the direction in which he aims to travel with a story, and then fly right for the finish line at lightning speed, win the race, and sacrifice no quality whatsoever. Joe R. Lansdale is a master of the incredibly brief flash format of fiction. This is an author capable of mortifying inside of 1,000 words; captivating inside of five pages. This is a guy who has found a way to leave his stories completely ingrained in our minds, and he can do so in the blink of an eye. Telling a terrific tale in just a few pages is not an easy feat. Yet Lansdale has done so time and again. While there are too many to run through at the moment, there are a few stories that really do need to be addressed and recommended. To miss these stories borders on criminal conduct! The Job is a brief enough tale to flirt with the realm of flash fiction. But make no mistake: it’s a jarring little story that deceives and ultimately produces a little bit of nausea. While the direction of the story seems extremely obvious, all is not precisely what it seems. We’ve got a pair of stone cold killers (treated to surprisingly thorough character study given the length of the short), sent on a mission to make a statement by executing one certain individual. One half of this duo is seasoned in his craft. The other is fledgling hitman who is being put to his first significant test. But when the time comes for our assassins to act out their mission, we as the reader receive a powerful smack in the face. Their target isn’t exactly expected, and this casualty is enough to make anyone’s jaw drop. Lansdale squeezes in a beefy sequence of events, and illustrates his character in quite impressive fashion. We get to know, and loathe both of our antagonists, Kelly and Bower. Once we discover what it isthey intent to do, and who they intend to do it to, they cross the threshold from despicable to outright vile. And Lansdale toys with the idea with joy. Disturbing, and damn memorable, The Job is a story meant to sink to the bottom of your belly and elicit some very real discomfort. It’s designed to bring a deep disgust for mankind to the surface. It accomplishes those intentions… perhaps a bit too convincingly! Down by the Sea Near the Great Big Rock is a success for a few very different, and potentially conflicting reasons. And yet, they do not conflict. They don’t conflict in the slightest in fact. Rather they dance an intimate rhythm that enables completely comfortable coexistence. See, in this tale we focus on a family who have opted to spend a little time on the beach. It’s a time of joy; smores melting over the fire, love under the calming moonlight, a soothing conclusion to the evening as heavy heads crash lightly on waiting pillows. But there’s something… different about the big rock located near their campsite. There’s a darkness about this landmark that invokes the sinister, and this family will find themselves lucky to evade a harsh fate. Lansdale successfully studies a natural anomaly of sorts, but he also dissects the human condition extremely well. At one point he paints virtually every character a potentially dangerous menace. Moments before he reminds us that they’re humans, not fully in control of their faculties. Lansdale’s decision to introduce something monstrous that may possibly be alive, only to play off the darkest recesses of man pays off in a major way. This is a creepy story that (surprisingly) not too many have read. It’s time to change that, because this one will not only leave you in full awe of the man’s talent, it’ll also make you second guess any future camping trips. Joe R. Lansdale proves he’s very adept at leading readers in the wrong direction with this disconcerting piece of fiction. It’s brief, it’s relatable, and ultimately, it’s awful damn shocking. Joe lines up a series of potential scenario for one young boy who is taken into the woods for his first hunting trip. He’s 15 now, and as his father puts it, it’s time to grow into a man. There are so many things that could go wrong on this trip it’s preposterous, but what ultimately unfolds is simply disgusting. It’s vile, and offensive, but Lansdale doesn’t cross a sadistic line, which leaves the story strangely enjoyable. Once more Lansdale turns man into monster, and given the family bond that holds this tale together, I’d say he’s pushed the limit just a hair, even by his standards. Anticipate a beautifully engaging pace from Duck Hunt, a couple of memorable characters, and a climax that should leave your insides just a bit queasy. This is just not the way you raise a boy… that’s all I can really say about that without spoiling an impressive conclusion! Another killer short from one of the most versatile authors in the game, Duck Hunt is a damn fine read! 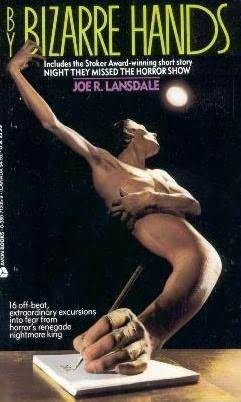 It could also serve as a warning: don’t buy a parental guidance book written by Joe Lansdale! Fish Night just might be the finest piece of flash work that Joe Lansdale has ever created. It’s beautifully layered, and emotional on many levels. In fact, I’d liken it – somewhat – to Ray Bradbury’s famous tale, The Fog Horn. They’re completely different stories, but that special sensation that courses through the body while reading The Fog Horn, is felt when reading Fish Night. It’s a special story. I believe Lansdale crafted this tale with the intention of making readers contemplate human existence, and it works. The story revolves around two traveling men whose car breaks down on an old rural road rarely traveled. Initially the two men believe it to be a smack of nasty luck, when the older of the two suddenly remembers something: he’s been on this road. It’s been decades since, but he remembers what he saw all those years ago. Amazingly, he’s about to see it again. This strange phenomena however, doesn’t arrive without a price. A shocking one at that. This is just a perfectly assembled little piece of originality that sinks in and touches the heart of the reader. It’s emotional, and almost childlike in content… but it’s supposed to be. It’s supposed to manifest a measure of joy and excitement. And, in typical fashion, the grand finale also does what it’s supposed to do: completely unnerve the reader. A superb effort that isn’t discussed often enough, Fish Night is mandatory read. I found three of those four stories in the two collections I have: High Cotton and The Best of Joe R. Lansdale. I’m going read them this week.